Firstly, One God, who is the God of Israel. Secondly, One Prophet, Moses son of Amram. In addition, we believe in the Taheb son of Joseph, The Returning One, The Restorer, A Prophet like Moses. He will appear on the Day of Vengeance and Recompense in the Latter Days. Firstly, Reside in the Holy Land. 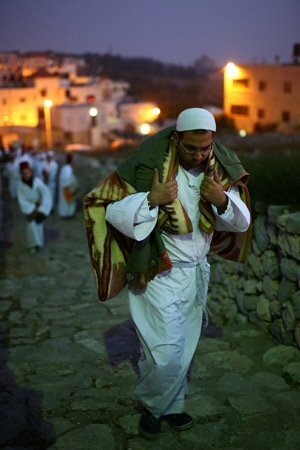 Secondly, Participate in the Sacrifice on Mount Gerizim at Pessach. Thirdly, Celebrate the Sabbath, as written in the Torah. Fourthly, Adhere to the laws of purity and impurity prescribed in the Torah. 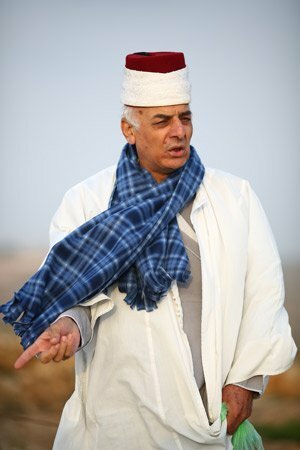 Israelite Samaritans trace our roots back for 127 consecutive generations in the Holy Land. We are the remnant of an ancient people, descended from the ancient Kingdom of Israel. In contrast, Israelite Jews descend from the Kingdom of Judea. They rejected attempts by Samaritans to broker peace between the people of Israel. Research concerning the People of Israel tends to view the Samaritans as a sect which split from Judaism. The split occurred in the Second Temple Period (538 BCE-70 CE). The story goes that, during this period, Samaritans adopted a version of the Pentateuch with different lines and structure than the Jewish Masoretic text. This attitude, widespread in Biblical research, erroneously assumes a paternal relationship between Jews and Samaritans. Moreover, some research links the Israelite-Samaritans with the foreigners brought in by Assyrian emperors. The research may intend to be objective, but it misinforms. We can clearly see from a study of Kings 2, Chronicles 2, and archeological excavations, that the link originated from Jewish Sages in the Second Temple period. It was a product of the great polemic between the Jews and the Samaritans. Historians make a mistake when they consider the Israelite Samaritans to be another sect, a branch of mainstream Judaism. During the Second Temple Period, sects abounded. They included Pharisees, Sadducees and Boethusians. None of these were similar to Israelite Samaritan society in structure, nature or characteristics. The Israelite Samaritans, descendants of the Israelites who lived in the Kingdom of Israel and in the north of the Land of Israel, occupied their own territory, the Land of Samaria. Many even spread to the plains in the north and the south. They had governors and kings and raised armies of rebellion against foreign rulers. They built synagogues. Their way of life centred on the commandments in the Pentateuch. In the Byzantine period (295-634 CE) at least nine sects existed. They had sprung from the main Israelite Samaritan stream. We know them collectively as Dositheans. Some survived until the end of the 10th century CE. Claims are sometimes made that the Israelite Samaritans were a branch of Judaism. If so, they surely would have consecrated other books and scrolls along with the Pentateuch, as the Jews did. However, they did not: the Mosaic Pentateuch is the sole sacred book of the Israelite Samaritans. Historical research shows so-called Normative Judaism to be a development of the Pharisees. A leading sect in early Judaism, Pharisees rejected the other sects. This development left only two main streams of Judaism: the Jewish Karaites and the Jewish Rabbinate. The Karaites accepted the whole Bible and rejected all later literature. The Rabbinate adopted and consecrated the Bible, and later the Mishnah and Talmud. The Israelite Samaritan tradition, based on the Pentateuch, represents the most ancient biblical tradition. The Jewish Karaite and Rabbinic traditions both represent post-exilic traditions. Historical research concerning the People of Israel in Biblical times makes another common error. It often confuses the Israelite Samaritans with the foreigners brought in by the Assyrians to administer their colonies in Judea, Samaria, Galilee and Edom. These foreigners replaced the elite of the destroyed Kingdom of Israel, whom the Assyrian rulers had exiled. The foreigners administered the colonies, raising revenue for their Assyrian overlords. The Assyrians settled the foreigners in administrative cities, such as Samaria and Gezer. They followed pagan customs and worshipped idols. On the other hand, the majority of the Israelites of the destroyed Kingdom of Israel remained on their lands and continued to pay taxes to the Assyrian rulers. The newcomers administered and collected those taxes. Excavations and surveys after The Six-Day War in 1967 reveal a strong Israelite presence after the Assyrian conquest. The lineage of the ancient Israelites in the north of the country continued through the Israelite Samaritans on Mount Gerizim. The Ancient Samaritan city of Luza lasted from the Persian period to the end of the Hellenistic period. So far, excavations there have exposed over 500 inscriptions on stones, and many ritual tools. Undoubtedly, the Ancient Israelites and their successors, the Israelite Samaritans, maintained a monotheistic religion throughout the period and did not adopt pagan symbols or cults. Linking the Israelite Samaritans with paganism or with pagan tribes discounts the sources of their culture. Prominent scholars of the Bible and ancient Israelite history have stated that the Israelite Samaritans are indeed descendants of the Ancient Israelite People of the Kingdom of Israel. The discovery of the Dead Sea Scrolls in the Judean Desert, particularly scrolls found in Qumran Cave No. 4, revealed Pentateuch texts scribed by Jews who had given up their urban life for a more isolated existence in the desert. They wrote the texts during the last two centuries BCE and the first century CE. Large sections of these scrolls are identical with the text of the Israelite Samaritan version of the Pentateuch. Significantly, they differ from the Jewish Masoretic text. So, we conclude that different versions of the Pentateuch existed. Some were scribed and delivered from generation to generation in the north of the Land of Israel, the original home of the Israelite Samaritans. Others were scribed in the south of the Land of Israel, and formed the Jewish Masoretic Text. The Israelite Samaritans consecrated only the Five Books of the Pentateuch. Their version of the Pentateuch (SP) and the traditional Jewish (Masoretic) (MT) version differ. The estimated number of differences is 6000-7000, about half of which are due to orthographic differences between the texts, involving incorrect or incomplete spelling. The English churchman and Hebrew scholar Benjamin Kennicott (1718-1783) supported the view that the Samaritan Torah is closer to the original. More recently, Doctor Rafi Weiss of The Hebrew University of Jerusalem, respected researcher of the relationship between the LXX Pentateuch Greek translation* and the SP, discovered that in 1900 differences of the LXX from the MT, the text of the LXX is identical with the SP. Since we know that there are between 6000 and 7000 differences between the SP and MT, and approximately 60% of them are orthographic, the 1900 differences must be in the real text and style of the writing. This means that the LXX is much closer to the SP than to the MT. *(LXX is a Jewish Bible, written entirely in Greek, edited in Egypt in the third century BCE. It is also known as The Septuagint, and The Seventy). We conclude that the translators of the LXX worked from texts that were closer to the SP version, such as those found in Qumran Cave Number 4. They were written in the same Ancient Hebrew script by Jewish writers, and are called Proto-Samaritan texts. These texts from Qumran, and earlier texts in the hands of the LXX translators, furnish the earliest versions of the Pentateuch known today. Thus, the SP presents the reader with the earliest known version of the Pentateuch, and the MT contains texts that appeared later, in the first part of the Second Temple Period. The principal differences concern the choice of the place where the Name of the Almighty will dwell. In twenty-two verses of the Book of Deuteronomy the Israelite Samaritan Version has: “In the place that the Almighty HAS CHOSEN”, whereas the Jewish Masoretic Version reads: “In the place that the Almighty WILL CHOOSE”. The location of the Holy of Holies provides the main difference between Judaism and Samaritanism. We have Temple Mount in Jerusalem for the Jews, and Mount Gerizim in Samaria for the Israelite Samaritans. Jerusalem remained a pagan place until the time of David and Solomon. They both fulfilled the desire of the southern tribes of Israel, led by the tribe of Judah, to have a holy place of their own. Meanwhile, the northern tribes, headed by the tribe of Joseph (and his sons Menashe and Ephraim) continued to worship at the altar of the Almighty that still exists on Mount Gerizim today. Joshua built this altar according to the commandment in Deuteronomy 11:29-30 and 27:4,15. In July 2008, Professor James Charlesworth of Princeton University analysed a previously unknown fragment taken from Cave Number 4 in Qumran, and written by a Jewish scribe. The inscription from Deuteronomy 27:4-6 contains the commandment to build an altar to the Almighty “on Mount Gerizim” (בהרגרזים), spelling the name of the mountain in one word of seven letters: הרגרזים (Hargerizim). We should examine this astounding discovery carefully. This written version of the name of Mount Gerizim and the injunction to build an altar to the Almighty on it can be considered to be neither Samaritan nor Jewish, but an ancient Israelite text. It predates the split between the Jews and the Samaritans, which occurred after the time of Alexander the Great, in the Fourth century BCE. (The fragment itself forms part of the collection from Qumran preserved in Azusa University, northeast of Los Angeles). Israelite Samaritans maintain that the chosen place had already been selected at the time of the Pentateuch. It is therefore written in the past tense: “HAS CHOSEN”. The place is Mount Gerizim, the only mountain in the Land of Israel that is consecrated in the Pentateuch for the offering of the Blessings on it [Deuteronomy 11:29]. On this mountain Abraham and Jacob had built altars. In contrast, the Jews claim that the chosen place was announced in the period of the Davidic and Solomonic Kingdoms (1000-930 BCE). The location is therefore written in the future tense: “WILL CHOOSE”, and refers to the Temple Mount in Jerusalem. The latter may have been written to justify deferring the identification of the one Holy Place to the later time of David and Solomon. Also, in several passages in the two versions of the Pentateuch (SP and MT), text written in one version does not occur in the other version. Moreover, in chapters 11 and 12 of Deuteronomy, the commandment to offer the Blessing on Mount Gerizim appears at the end of chapter 11. Immediately after, in chapter 12, follows the commandment to destroy all other places of worship and to worship only in the chosen place. If we take the last verse of Chapter 11 and make it the title of Chapter 12, we conclude that Mount Gerizim is the Chosen Place for the Altar of the Almighty. Readers of the chapter knew without doubt that Temple Mount in Jerusalem was sanctified later, in the period of king David and his son Solomon. Mount Gerizim is the clearly implied chosen place. In April 2013, Eerdmans, Grand Rapids, Michigan published my life work: The Israelite Samaritan Version of the Torah. This edition gives the Samaritan Torah and the Jewish (Masoretic) text in English. The texts lie side-by-side in parallel columns. Bold capital letters emphasise the differences between the two versions. In a column on the left, notes clarify the interpretations of the Samaritan Sages on significant differences between the two versions. I edited, translated and wrote this volume. Ms. Sharon Sullivan co-edited. 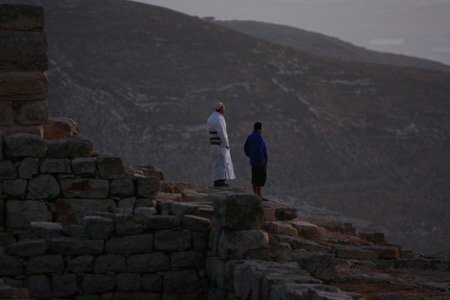 Throughout history, the Israelite Samaritans never lost their unique status and identity as a People. Accordingly, they retain their own writing, the ancient Hebrew script. They speak their own language, the ancient Hebrew dialect spoken by Jews until the beginning of the first millennium CE. And they follow a unique, millennia-old historical tradition, despite periods of intense oppression. 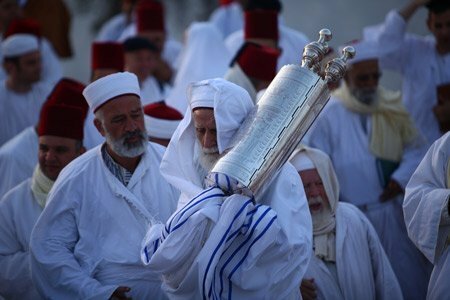 The tradition dates from to the entry of the People of Israel to the Promised Land under Joshua bin Nun. And, it should be remebered, all the Abrahamic religions: Samaritanism, Judaism, Christianity, Islam, Druze and Bahai, stem from our roots and traditions in Ancient Israel. Samaritan Studies are developing at a rapid pace since the establishment of the Société d’Études Samaritaines in Paris in 1985, and the Round Table Lectures. The Société has helped to organise 8 International conferences of Samaritan Studies. Locations include Oxford, England (1990), Paris, France (1992), Milan, Italy (1996), Tel Aviv and Jerusalem, Israel (1998), Helsinki, Finland (2000), Haifa, Israel (2004), Papa, Hungary (2008) and Erfurt, Germany in 2012. These fully-documented conference lectures open a window on all aspects of Samaritan Studies. In addition, between congresses there are conferences of the Society of Biblical Literature (SBL) and the European Association of Biblical Studies (EABS). Both dedicate sessions to Samaritan Studies. More recently the University of Zurich, Switzerland has dedicated conferences and courses to the Samaritans and Samaritan Studies. Modesty in dress is required for both genders. For women: half-sleeves and skirts down to the knee. Yes Joshua, that is correct. When a woman becomes impure because of her monthly period, are only cooking utensils not allowed to be touched? What about things like doorknobs? I’m sorry I keep write questions but I am striving for truth. I was wondering… I read that the Samaritan Temple has been carbon dated to 5th century bce, is that true? And if so, what was there prior? Thank you! Also you mentioned previously that if one was circumcised, keeps laws of Torah, sabbath, etc. that one would be considered a Samaritan if believe in Samaritan Torah and traditions. Even if they did not live (or could not) in Israel ie. Like previous converts outside of Israel in the past. Would that still be valid if they where not able to come to the Passover sacrifice because of income? I would like to follow Shemas truth the best I can, even here in USA. Thanks! Greeting, can you please explain the afterlife and resurrection of the dead? Do you have to be Samaritan to reach heaven or the world to come? Is he’ll eternal or temporary? Thank you in advance! My friend in Jerusalem lectures on Jewish religion and in one of his classes stated to a Karaite student that she was more Jewish than the rest of the class, yet she left, never to return. It is good that your website is so succinct. Keep it up. Je vous salue, les honnêtes samaritains. Je suis un chinois qui habite à Paris. Vous notez qu’il y a une association samaritaine à Paris, ça m’intéresse. Pouvez-vous me montrer votre société à Paris par de mail ?Merci . Greeting… if one believed in the Samaritan religion, and keep our Lords laws, is circumcised, but cannot move to Israel, what would they be considered? Also was there converts in the history of y’all in the diaspora in the past, since they would not reside in the holy land? If so – circumcised, fulfilling all the commandments, keeping the Sabbath and other laws as laid down in the Torah, then in the eyes of the Israelite Samaritans you can be considered an Israelite Samaritan, along with the many other Israelite Samaritans around the world. Thank you so much, Benyamim, for all your efforts to educate those of us who are not Samaritan on your history, customs and beliefs. It is truly fascinating and instructive. I am currently a Karaite Jew but I place a much heavier emphasis on Torah than Tanakh. I was wondering, though, can you convert to the Samaritan Israelite faith? The usual answer to your question is: it is possible to join our community after living with us for three years and fulfilling all the commandments of the Torah. Of course, males must also be circumcised. By the way, my Hebrew name is Yitzchok ben Hershel ben Chaim HaKohayn. Like your High Priest, I am descended from Aaron.